Use this dialog to disconnect from a server. 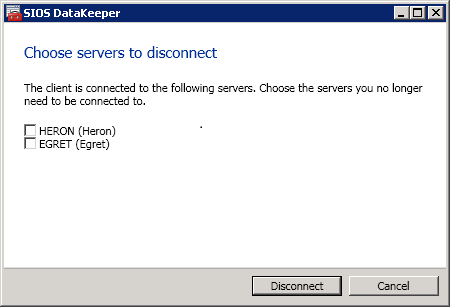 You may use this option if you no longer wish to view the server in the Administration Window. From the list of servers, select the server(s) that you wish to disconnect from and click Disconnect.